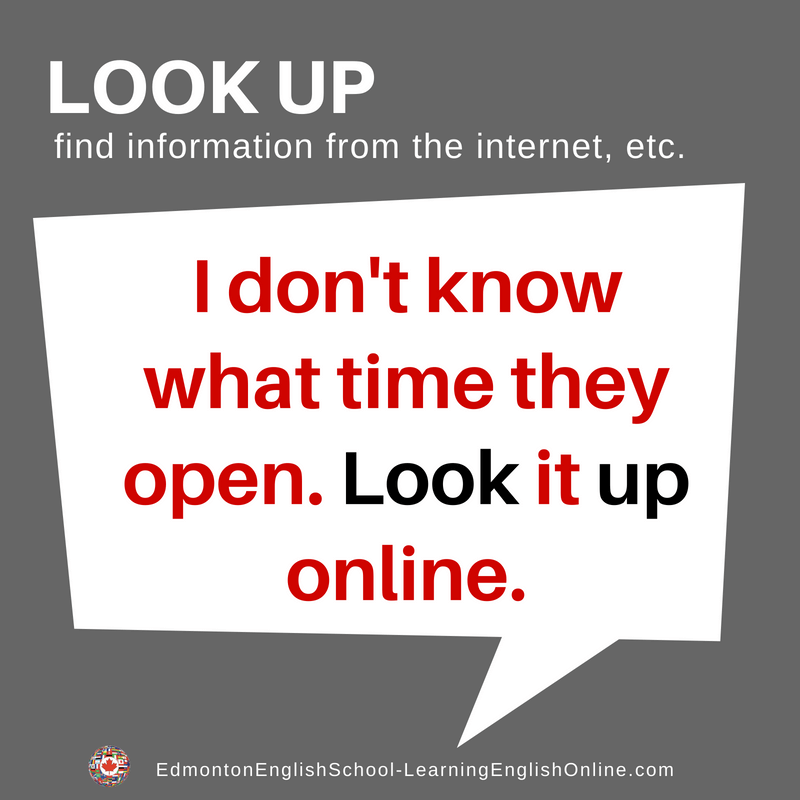 What is the meaning of LOOK UP? 1. I’m not sure where that restaurant is. Could you look it up for me? 2. You will need to look up the hours they are open.